Signs of a New England fall are in the air in October. The weather turns cool and comfortable during the day as the leaves begin their annual display of color. 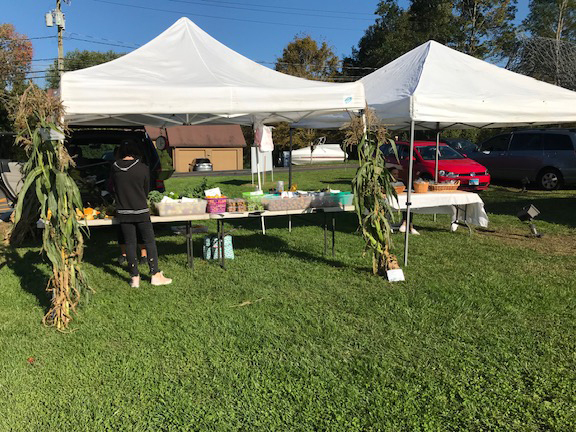 At the grounds of the Municipal Center, hosting the Town Hall and Senior Center, about 2-miles from Newbury Village a Farmer’s Market is hosted on Friday afternoons. It has become very popular with children off all ages.